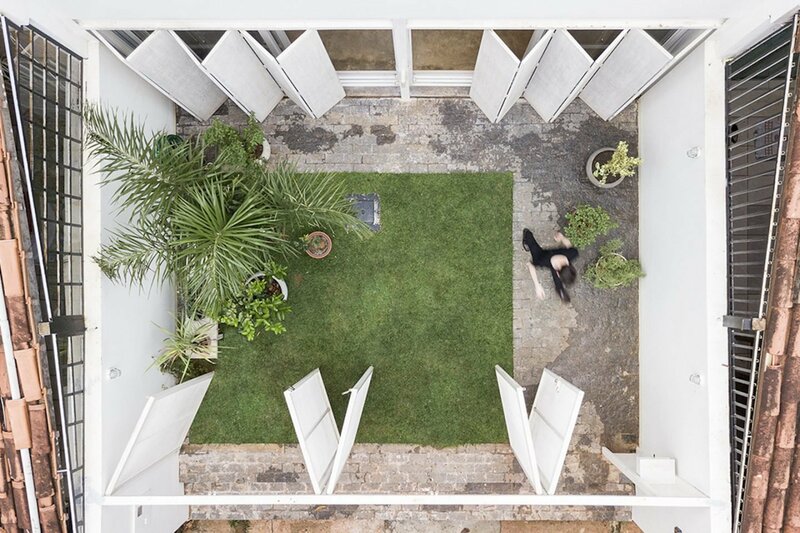 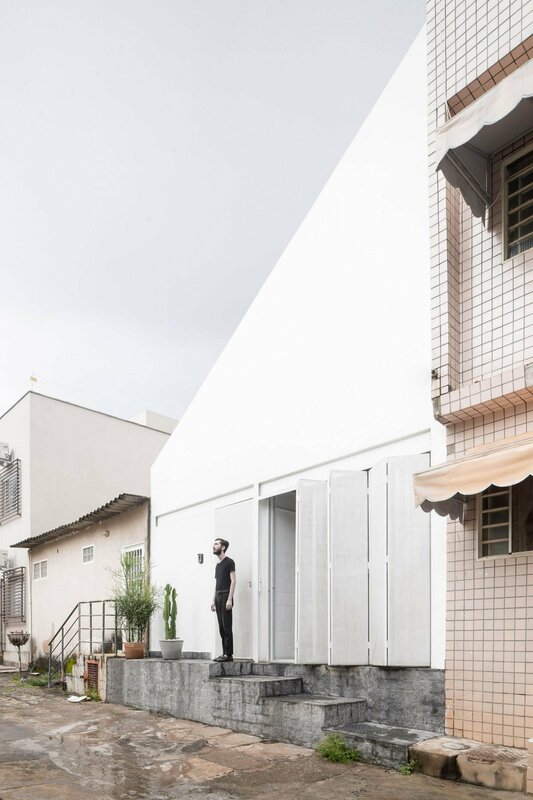 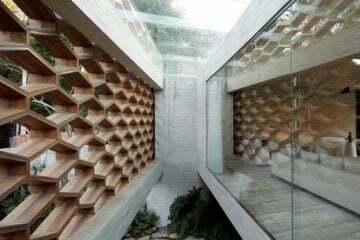 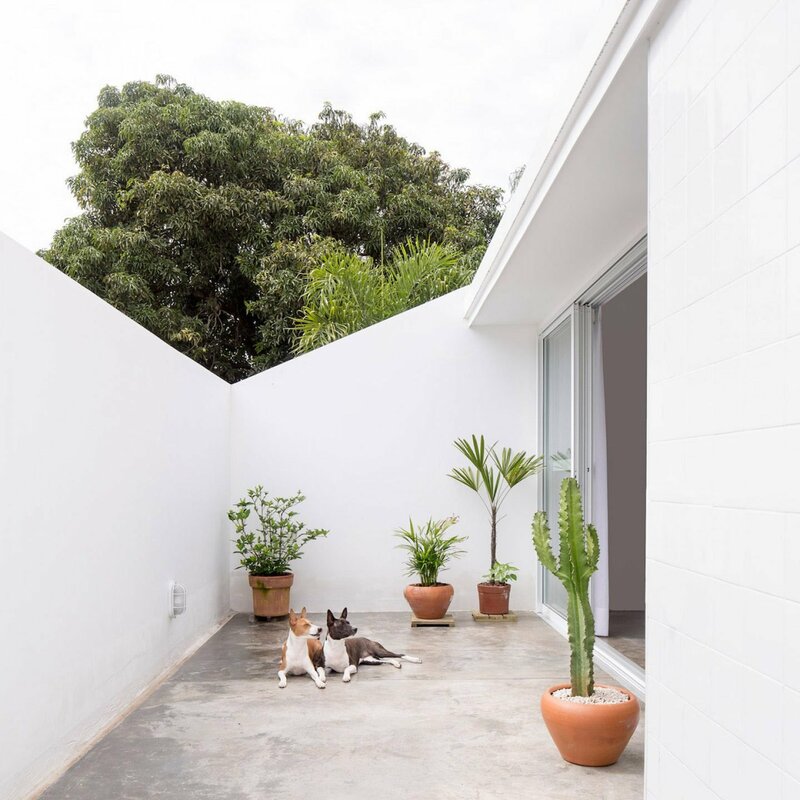 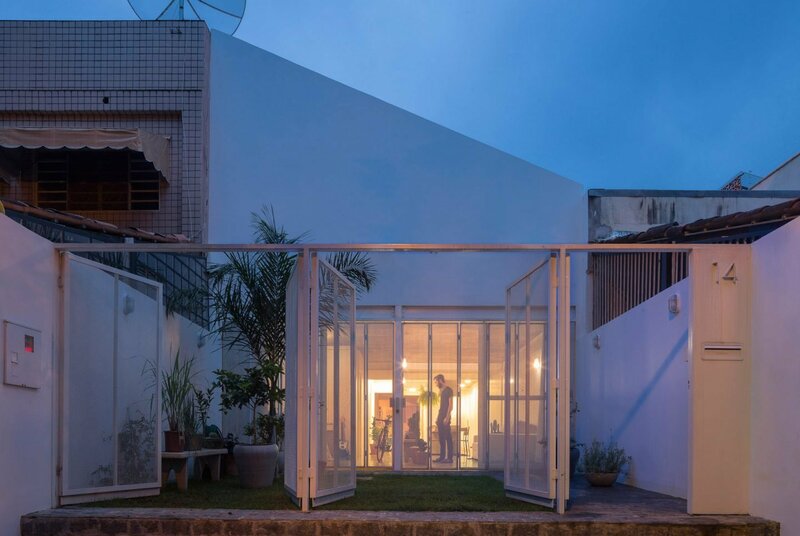 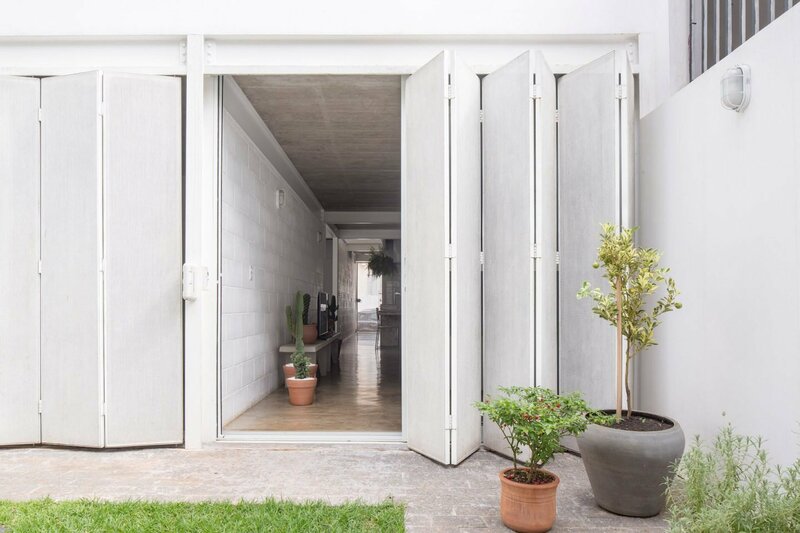 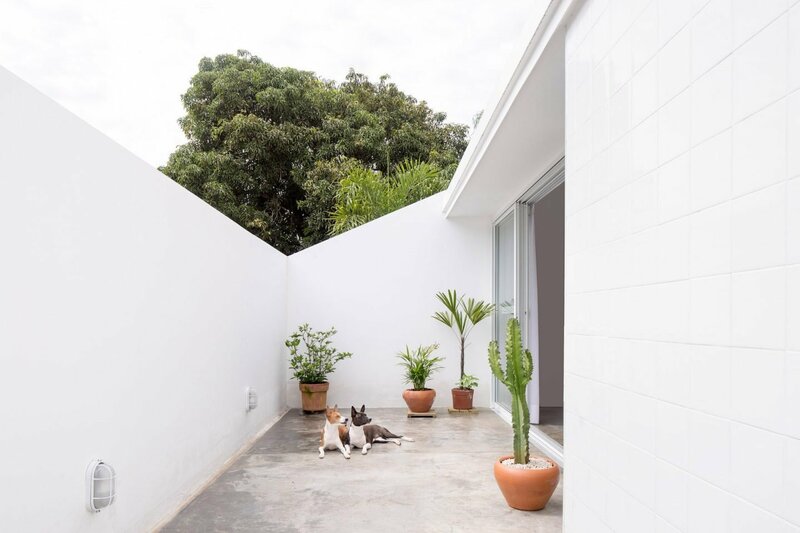 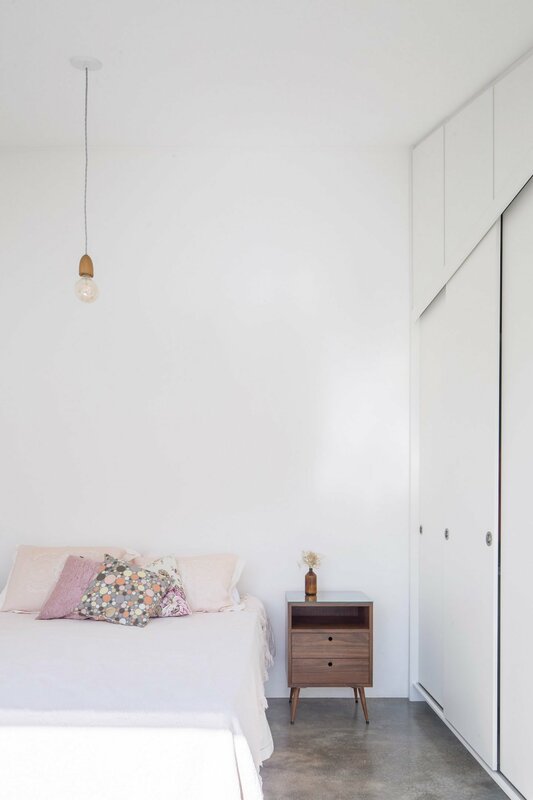 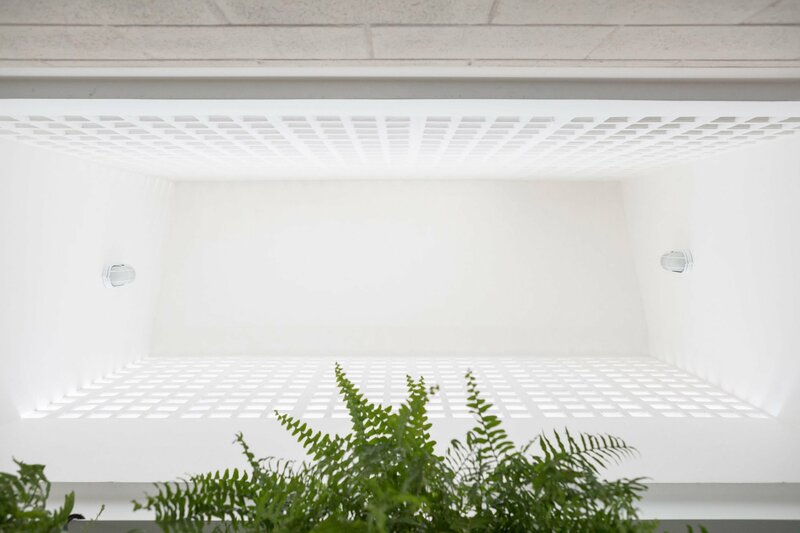 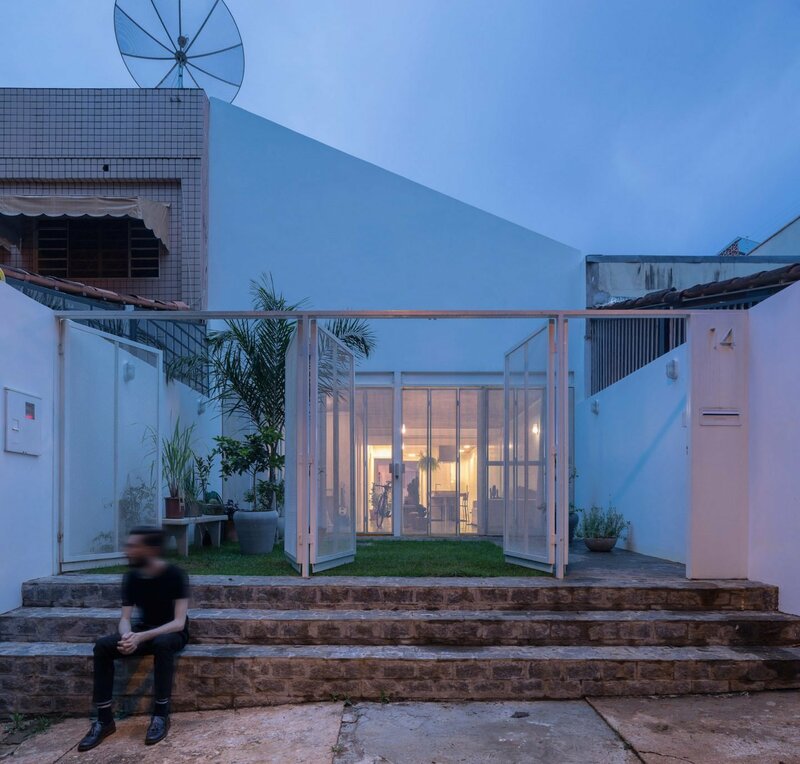 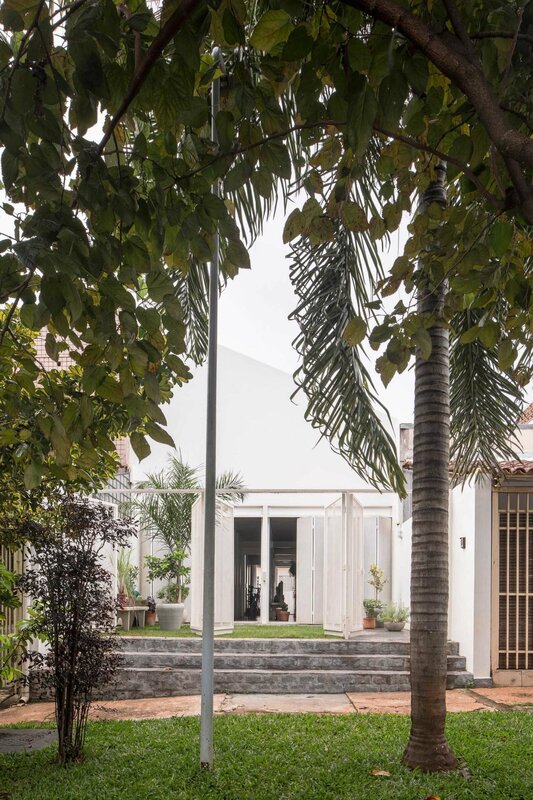 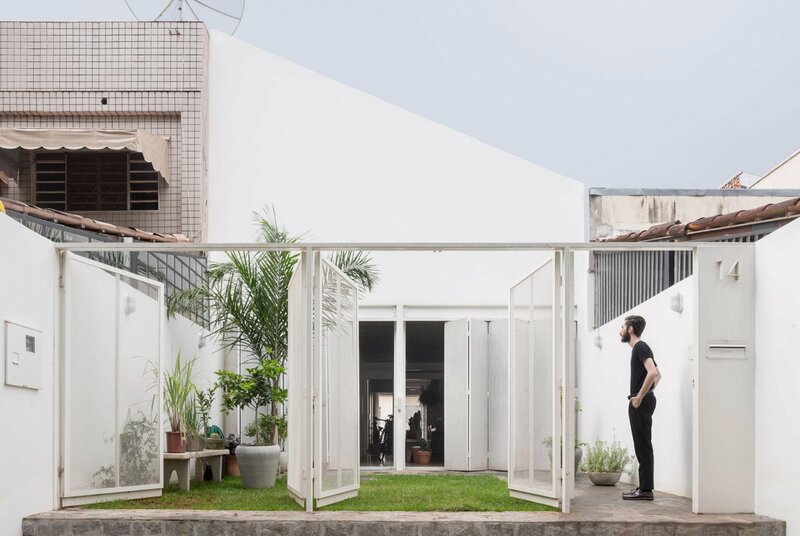 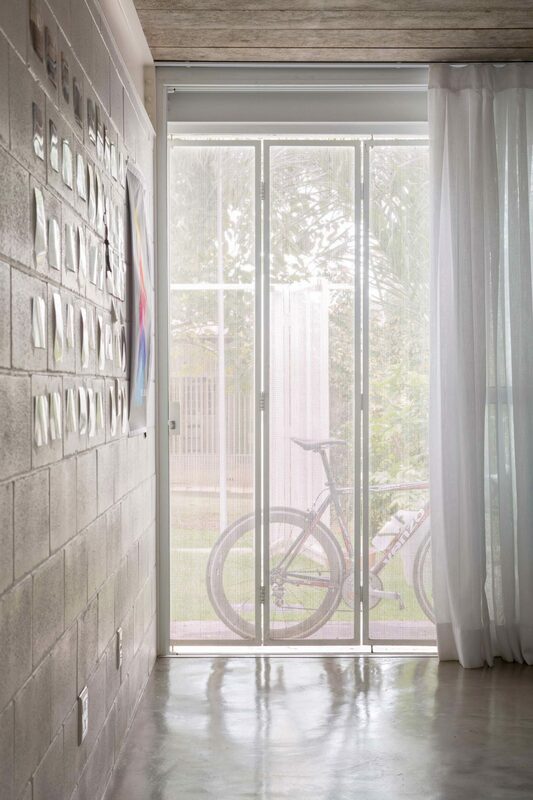 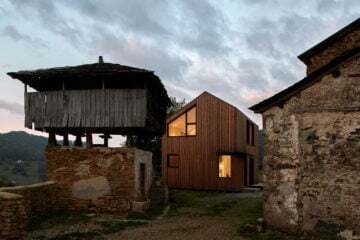 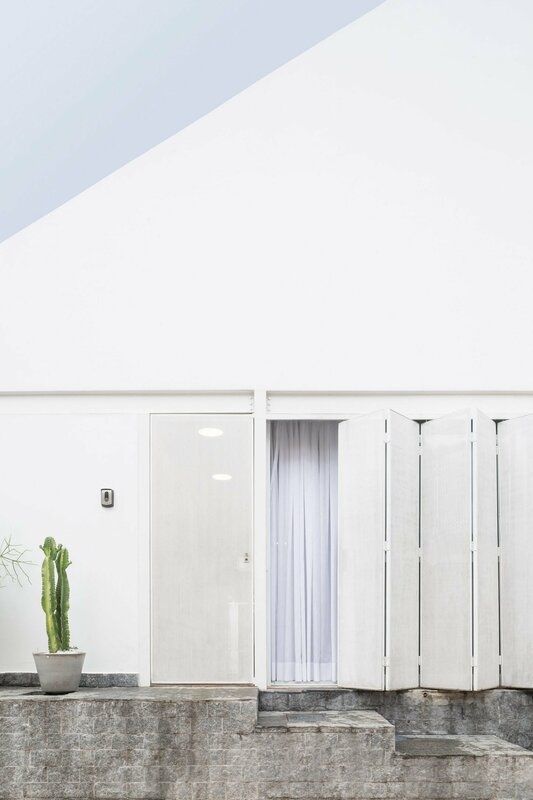 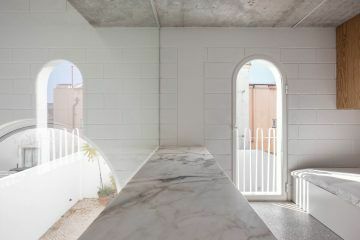 Attempting to reverse some of the adverse effects created by dense housing in the Plano Piloto blueprint of Brasília, local architecture firm Bloco Arquitetos built an all-white sloping home complete with a small front garden. 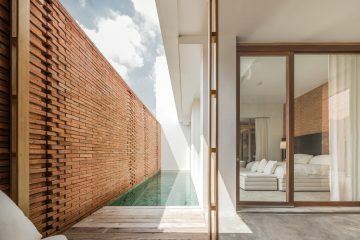 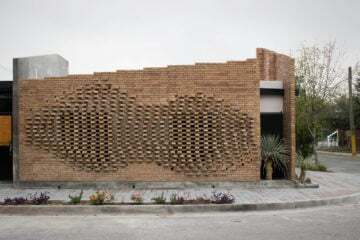 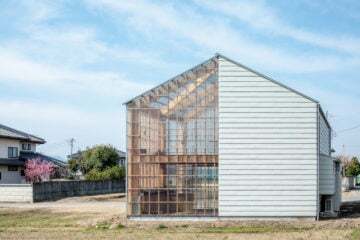 Rebuilding the house nearly from scratch, the studio made use of laminated steel beams and columns to create the structure. 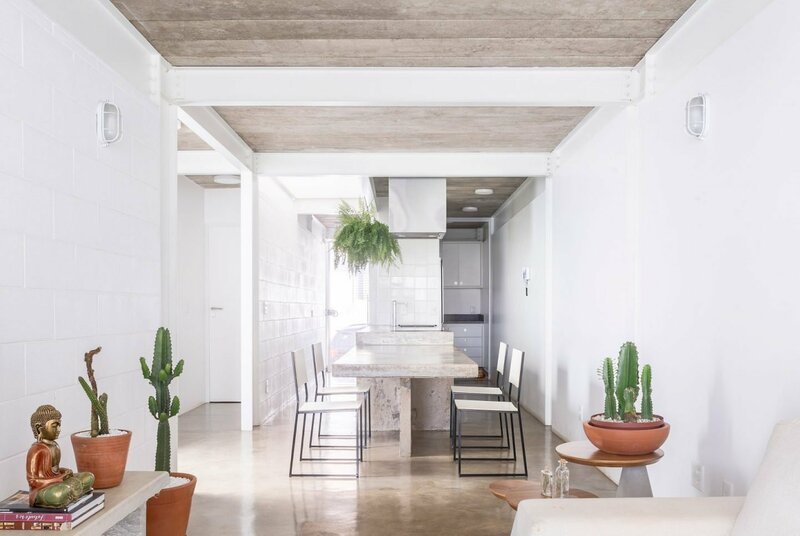 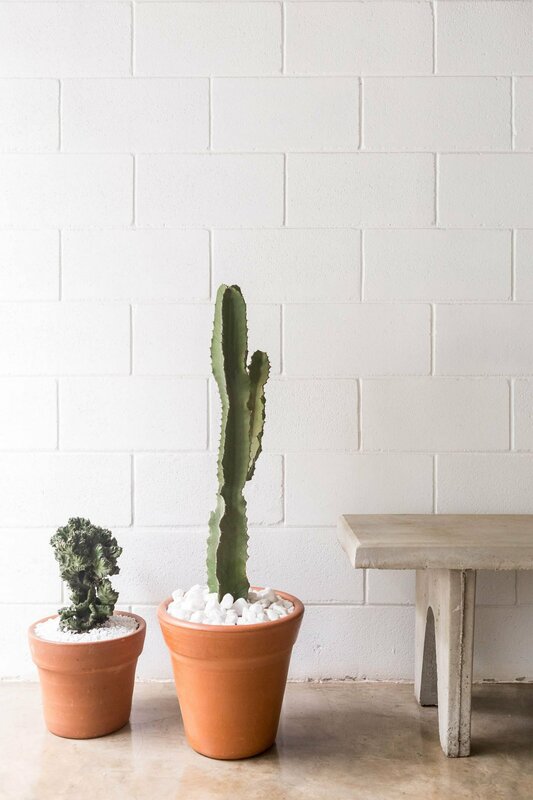 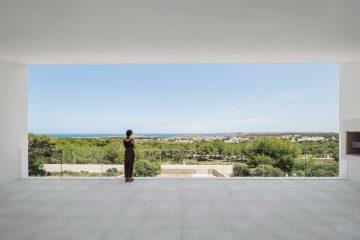 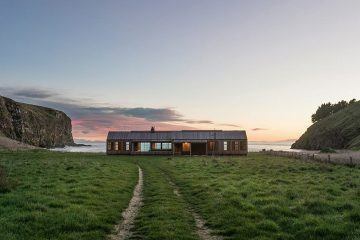 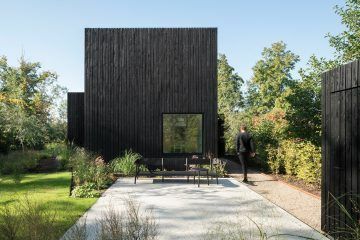 Inside, exposed concrete walls, a black concrete staircase and an exposed flooring give the house an organic feel.